Whether you are looking for your first ever job or you want to change careers there are some steps you should take in order to avoid missing out on the job you really want. You don’t want to end up having to settle for something which is second best, so here are a few steps to take in order to give yourself the best possible chance of landing your dream job. It isn’t easy to achieve something when you don’t even know what you want. If you haven’t spent much time thinking about what you really want then this is the time to do so. You should think about what you could imagine yourself doing for a long time, about the prospects of furthering your career and – let’s be honest here – about the sort of salary you are after. Once you are armed with these basic facts you will have a much better idea of what your ideal position really is. This will save you wasting time applying for jobs which don’t meet your minimum requirements. Of course, we would all like to get a hugely exciting and well paid job but we need to be realistic about what we can expect to have a decent chance of having success with. Some jobs will require experience or qualifications for you to even get to the interview stage, while others come down more to your personality and intelligence. If you waste time sending off applications for positions you have no realistic chance of being given then you are giving yourself less time to search productively for something more realistic. Sure, you might occasionally be tempted to go out on a limb and apply for something you aren’t 100% sure of being suitable for but the majority of your applications should be for roles you consider yourself suitable for. While we have been looking at focusing on roles which are right for you and which you can expect to have a chance of being considered for, we also need to thinking about casting our net as far as possible geographically speaking. If you limit your job search to the companies near your home then you will be giving yourself far less opportunities to find something of interest to you. You could start your job search by working out how far you could reasonably expect to commute to work every day. Clearly, there are a few different factors to take into account here. For example, is there fast and reliable public transport to take you to the place you are thinking of working? If you we’re looking at jobs in London but you don’t live close to the city, would the travel costs be too high to justify it? Might this be a fairly painful short term strategy to get you a long term job nearer to home? Once you have thought about these factors you should know where you can look for a job without too many worries about commuting. There is no doubt that searching online for jobs is the smartest approach to finding the ideal employment these days. For a start, it is a quick process which can see you send off for a lot of roles in a very short period of time. It is also easy to do some research on the role and the company on the internet before you send off your application. 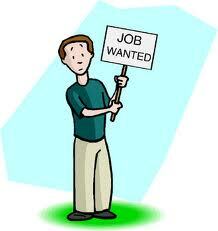 Finally, if you are going to look for a job on the internet then you can do it whenever and wherever it suits you. By choosing the moments you feel most motivated you will be in a better position to try and land that perfect job at last. I think branching out geographically is important. A lot of ppl are to scared to do so and they miss out on opportunities to do what they want to do. Good tips. As you start applying for jobs online, take note on how to beat the Applicant Tracking Systems that pretty much all companies use. You don’t want your application/resume to get stuck in that black hole. In addition, there’s a great salary/equity tool on the Wealthfront blog if you’re specifically looking at joining a technology startup company. For more info. check out some of my own posts on the topic. One thing that many people don’t do is look far and wide for a job. There are many reasons why especially when it comes to family but it does lessen the opportunity if you can’t. Agreed CBB. If you have flexibility about where you work you should definitely use it. Great advise to look far and wide. I’m currently looking for something new and feel fortunate that I am so open to where the job is. I used to just want to live in a big city, but am now realizing maybe that isn’t what I want and the right job will come if I let it. What’s meant to be will be! Great overview. I need to do some real work around #1. I am also constantly coaching people on #2 to look far and wide. I think it is human nature to go with what we know and stay close to home. Excellent tips: people too often look for “anything” which means they apply for too many jobs which means they aren’t focused and apply for job which are not good matches for them. Another major mistake I see is people who spend too much of their time applying to job postings online – not the most effective method of finding a job. Thanks for the comment Susan. When applying online it seems far too easy to fire off applications for all sorts of jobs which you would never waste time on if you had to write a letter or make a call.